I do like to bang on about my bad skin here on this blog. Extreme dryness, cysts, scarring, I really pulled the short straw, as you might have seen in my IT Cosmetics review. I've tried everything to tame it, and have finally found Superdrug's own brand skincare to be the most caring, keeping my skin feeling healthy, happy, and comfortable while antibiotics get to work on the cysts and I save up for laser treatment on the scars. Some people swear by using one particular set of skincare only, but I've found that dabbling across a few of Superdrug's lines caters best to my complexion. The Naturally Radiant line is formulated with glycolic acid to slough away dead skin cells and encourage luminosity in the skin, while the Vitamin E line is designed to protect the skin and caters for dry skin. For active acne there is the Deep Action range, with spot fighting ingredients to target blemishes. I love that, as with all of Superdrug's own products, they are all cruelty free and often vegan. There's almost always a deal on, too, so I can stock up at really good prices- I've even become one of those people who has a drawer of skincare backups. Morning and night I swear by the hot cloth cleanser. 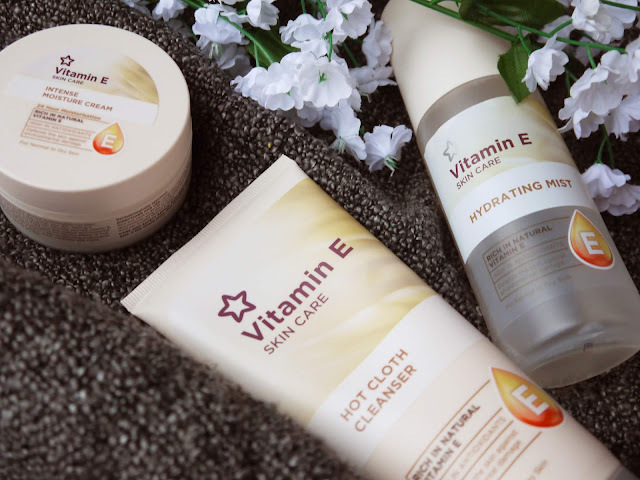 I believe the Naturally Radiant one has been discontinued, so I now use the Vitamin E, and have been through countless tubes in the last few years. It's thick and creamy enough to feel nourishing and remove makeup well, but not so oily that it gets in my eyes or leaves a coating on my face. If I've worn makeup I'll leave it on my skin for a minute to really work, rinse off, then repeat, and if I'm using it on clean skin I like to massage it in to boost circulation before buffing off with a flannel or the cloth provided. If my skin feels particularly dry, I follow my cleanse with a spritz of the Vitamin E hydrating mist, which has horse chestnut extract to offer extra moisture to the skin. Whereas most sprays feel like plain old H2O, this one leaves my skin feeling plumped and calm. It's also brilliant to use over makeup to meld it together and give a little glow. At night I'll either swap or follow the mist with some sort of acid, an absolute must in my routine. The Naturally Radiant pads are similar to the famed Pixi Glow Tonic, while the Deep Action pads are something I reach for when my skin is really acting up and I want something stronger. I'm not religious about using serum as I have found they can ball up if I don't let them sink in properly, but I do like to keep a bottle of the Vitamin E serum on hand, and sometimes use it instead of moisturiser. My normal moisturisers are the Naturally Radiant day cream, and my most recent find for night is the Vitamin E intensive moisturiser. 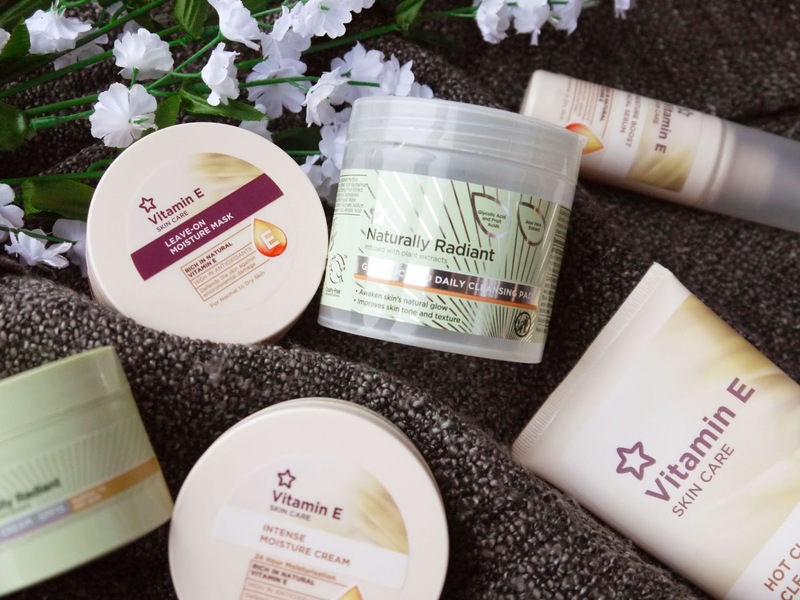 I had been using the Vitamin E oil but didn't like the packaging or find it very effective, so I swapped it for the moisturiser and it may be my favourite from the whole line up. This unassuming pot of cream somehow manages to be thick, but light and easily absorbed, yet still deeply nourishing. If you have dry skin, you must give it a go. For an added boost, I turn to the masks and treatments Superdrug stock. The Deep Action anti blemish gel isn't effective on cysts, but is always ready and waiting in my night stand to dab on lurking spots before they become full blown mountains, while the Naturally Radiant overnight peel is on standby if my skin needs some serious perking up before an event or after illness. Oddly, the only mask I don't like is the Vitamin E moisture mask, which felt very greasy and broke me out in tiny whiteheads every time I tried it, so I would advise a thick layer of the intensive moisturiser instead. 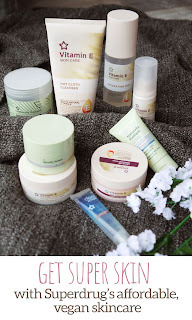 I do complement my routine with things I'm sent to try from time to time, but these products are the ones I return to and repurchase time and time again. 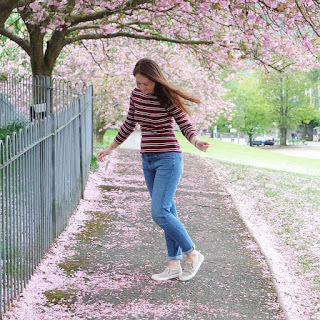 In my teen years I thought I had to use harsh, stripping products, whereas now I'm happy to have found a full affordable, cruelty free routine that nourishes my skin and makes it the best it can be. What are your skincare essentials?